In January 2006 I went to Camden Lock TV Studios to film an edition of Danny Baker's Sitcom Showdown. It was a quiz show in which two teams representing TV Sitcoms would compete to prove that their Sitcom was the best. I represented Porridge of course and I was up against a fan of Fawlty Towers. We were both asked to bring along a friend to help us out and after some persuasion I managed to persuade my friend Colin to come along (I made sure I invited him after he'd had a couple!). The third member of each team was to be a celebrity. The Fawlty Towers team got Rowland Rivron and my team got the gorgeous Jenny Powell who I remembered very well from her days presenting the show No Limits in the 80s. In part of the show, Colin and I had to act out a scene from Porridge. It was from the episode "The Harder They Fall" when Fletch hilariously tries out some boxing. It followed the opposing team's attempts at acting out a scene from Fawlty Towers which they did with such enthusiasm I thought we were going to lose. So I just went crackers! Filming took quite a while and it was fully expected that the editors would have to cut out quite a lot of the filming to make sure it fitted in with TV schedules. However, they unfortunately cut out the funniest moment of the program. There was a section of the quiz entitled "Leave off, that's me telescope!". Danny explained in great detail the origin of this phrase giving many double-entendre laden examples that had us all in hysterics. They cut this out but still left in some references to it which no longer made sense without Danny's explanation. You can see the audience's reaction when my friend Colin used the phrase. It was a great day out and I now have a great souvenir of my several minutes of fame on UKTV Gold." The big quesion is of course, what will I remember most about the day? Appearing on TV representing Porridge, my favourite Sitcom or spending several hours in the company of Jenny Powell? I'll leave you all to make your own assumptions! I have to say, it is quite poignant looking back on these videos. 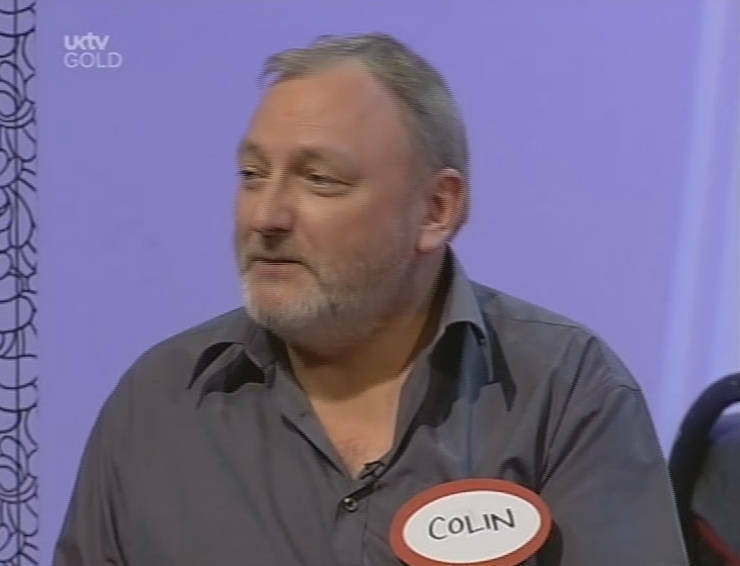 Sadly, my friend and colleague, Colin, passed away far too young back in 2010. He is sorely missed.